The Young Guide 3 group set of to the south of Palestine on the 30th November 2017 to tour and camp there for three days within the Young Guide 3 program funded by VAKT I-KIRAAT. The group toured in Um Al-Rashrash, Arabeh Valley in addition to areas located southern to the Dead Sea. 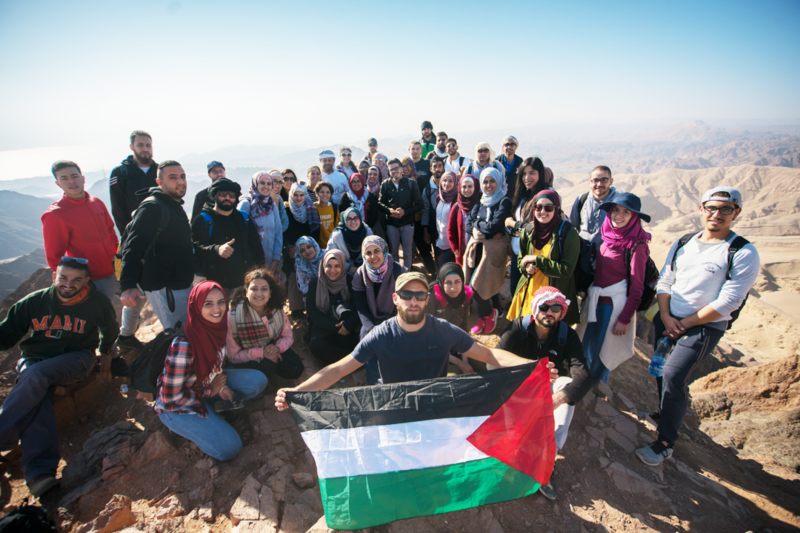 50 beneficiaries participated in the tour which is one of 16 tours to different Palestinian locations. Moreover, a delegation from Burj Al-Luqluq Center accompanied the group including the Head of Board Members, Nasser Gaith and Burj Executive Manager, Muntaser Edkaidek. Mr. Gaith expressed on his behalf that the message of the center is a pure Palestinian message and it will remain that way because we believe in the historical Palestine.